Went to the big-box store looking for a men’s reversible belt. Supposedly, you are supposed to buy one size larger than your actual waistline. Where the heck is size 34? Do they still make size 34 belts, let alone anything smaller? Your Almost DailyBrett author may be vertically challenged. There is no doubt he is follicly challenged. Damn it, he will not be horizontally challenged. No convulations over my size 34 belt. According to the Centers for Disease Control (CDC), 34.9 percent of American adults or 78.6 million are obese. The added medical costs nationwide amount to $147 billion or about $1,429 in additional doctor visits for each obese adult. Day-in, day-out millions of Americans are literally eating, smoking and/or drinking themselves into infirmary. Wheel chairs, scooters, canes and walkers are just waiting to be purchased (an unfortunate growth industry) and the kidney dialysis centers are popping up like Starbucks. This trend has to stop. When you think about people in wheelchairs you feel sorry and sad particularly for what they can’t do in their lives any longer. There world is literally getting smaller and more restricted with each and every day. For some, this state of affairs was unavoidable and unfortunate. They deserve our sympathy and support. And then, there are the 400,000 Americans who die each other because of smoking-related diseases. Can’t they read the warning labels? Ah, yes it is the nicotine talking; it is always the nicotine talking. More than a few don’t want to hear anything about running. There is a commitment to a level of pain when it comes to getting into shape. 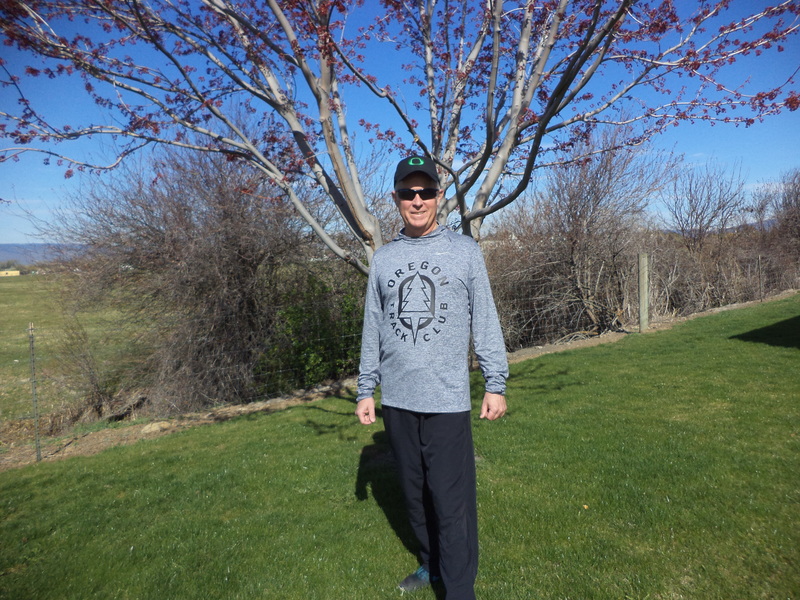 Some correctly believe that it’s near-insanity to wake up early in order to run in 16-degrees (ski cap, gloves, thermal undies); others may see this commitment as dedication. And some may be concerned about running in 90+ degree heat; better make sure that plenty of water is available. Why should we even consider running? How about because we want to not only live, but live well? Literally hundreds of thousands of people outrun little ole me on a daily basis. They have the 13.1 or even better, 26.2 decals on the backs of their cars. 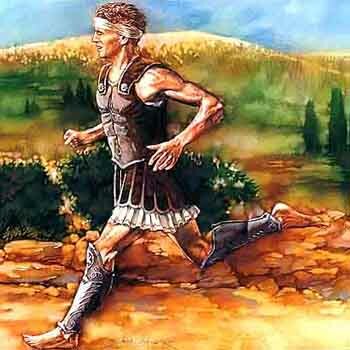 These stickers are tributes to themselves and to Pheidippides, who according to myth immediately died after running 26.2 miles to deliver the good news of “Victory” after the Battle of Marathon. At 11 minutes and 6 seconds, “In My Time of Dying” is the longest Led Zeppelin song ever recorded. For some reason, it seems to be an apt title for a run of almost two miles. There are times when you actually believe: This run is really In My Time of Dying. The question that needs to be asked, besides the obvious bout against overweight/obesity, why take the time and effort (particularly in extreme temperatures) to make a commitment to fitness and staying in shape? The answer is multi-fold, but one of them revolves around having clothes you wore 20 years ago still fitting. Another is the little extra bounce in your step that arises from increased stamina. And how about the prospect of living longer, doing more, being sharper and enjoying life to the fullest? If one needs further stimulation consider a mobile device with Nike+ software. The little tyrant actually awards you video game-style “medals” just to make sure that you run more than 30 miles each month. 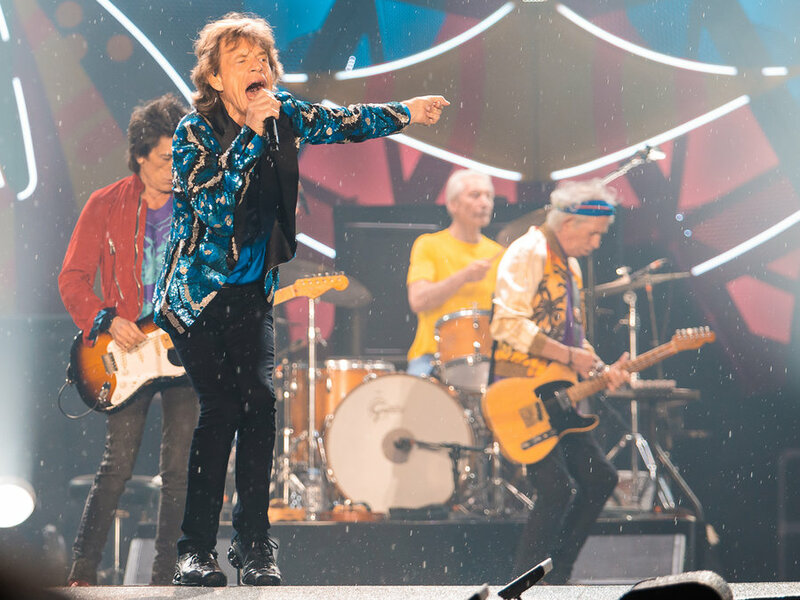 When the author of Almost DailyBrett contemplates the Rolling Stones are still bringing it on the road, even visiting Cuba for the first time just last month, in their collective seventh or eighth decades (i.e., Ronnie Wood, 68; Keith Richards, 72; Mick Jagger, 72 and Charlie Watts, 74), one needs to rebel against a lethal sedentary lifestyle. 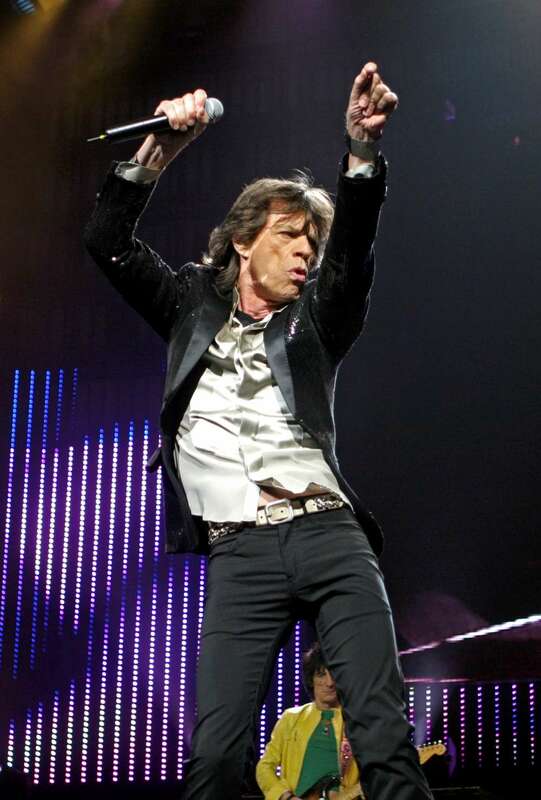 Watching Jagger dance and perform in his 70s for upwards of two hours with a reported waist line around 30 inches-or -so is simply awesome. Pondering how my mumsy at 97-years young has kept her slender build, just renewed her driver’s license for FIVE MORE YEARS, and still goes to Curves three days a week is motivation enough for me, and maybe it should be inspirational for others as well. Yes, I am a tad biased on this subject. Her father, an avid fitness kind of guy, made it to 100-years-young with all of his personal transmission running just fine. Happy Birthday mumsy. 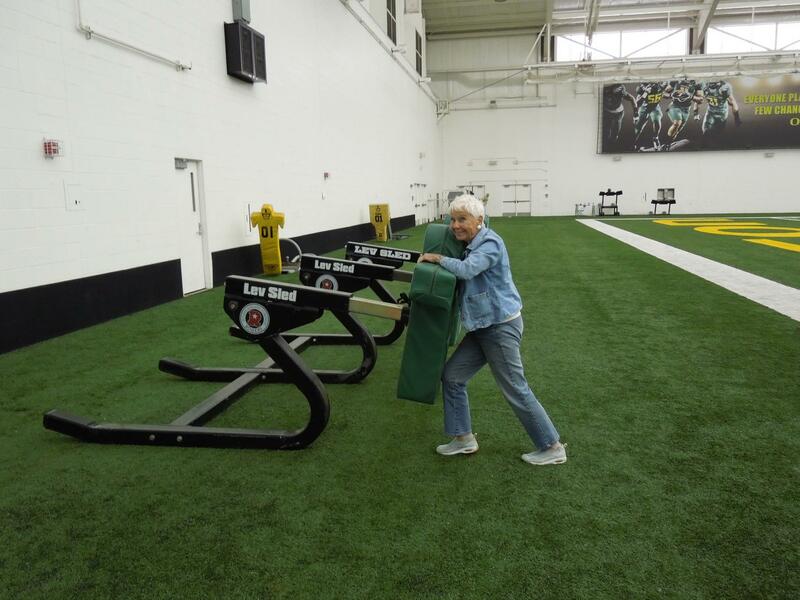 You are still ready to hit the sled and drive the nose guard off the ball. Something tells me, she will see the century mark and then some. Japan’s Hidekichi Miyazaki ran the 100 meters in 42.22 seconds, just a tad behind Jamaica’s Usain Bolt’s world-record time of 9.58 seconds. 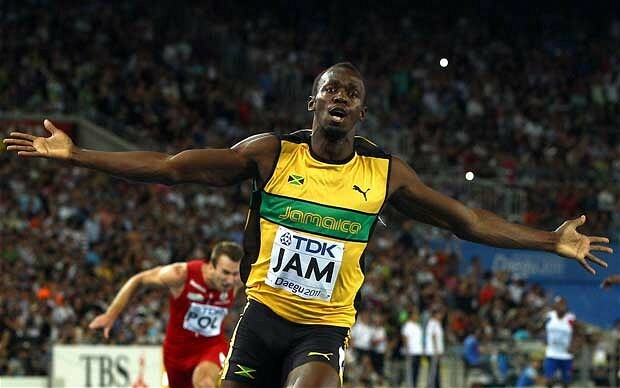 In fact, Miyazaki’s 42.22-second 100-meter time was also well short of Bolt’s world-record time of 19.9 seconds for the 200 meters. Darn it, his 42.22 time did not even match Miyazaki’s 34.10 seconds’ personal best. Okay, let’s give him a break. 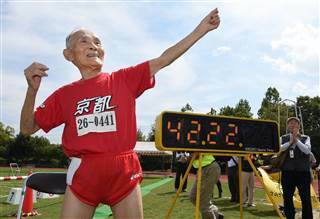 Miyazaki or “Golden Bolt” achieved his 42.22-second time the day after his 105th birthday. 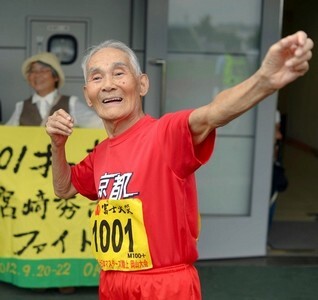 He took up sprinting in his 90s. Don’t tell Hidekichi that he can’t, because obviously he can, and that includes his version of the Usain Bolt victory pose. Which is Worse: Can’t or Won’t? There are literally millions of people through no fault of their own, who simply can’t. They are too young. They are too old. They are infirm. They don’t have the proper opportunity. They just can’t. And there are millions more, who just won’t. They can, but they won’t. They are the external force … or should we say, “internal force” … that stops a personal state of motion dead in its tracks. Think of these cup-always-half-empty souls this way: They are the concentric zone theory in reverse. Instead of the suburbs and exurbs moving away from the inner core of the city, the exurbs and the suburbs are collapsing and the world is getting smaller-and-smaller for Mr. and Ms. Won’t. They don’t like their job, but they won’t do anything about it. They are in a rotten relationship, and yet they suffer and won’t even contemplate dropping the hydrogen bomb. There are few, if any opportunities in their locality, and yet they won’t leave a neighborhood in which Jerry Springer comes in search of guests. They won’t consider moving elsewhere, even though a pot of gold may indeed exist at the end of the distant rainbow. They won’t give up smoking. They won’t give up drinking. They won’t give up this bad habit or that bad habit. They won’t take this trip. They won’t try this new technology. They won’t leave their boring civil service job. They won’t develop new relationships. They won’t try new foods. They won’t seek out a second career. They won’t. They won’t. And they won’t. Miyazaki’s secret for a long-life: exercising daily, eating in moderation and chewing his food thoroughly. How many do we know who won’t exercise at all, let alone daily? How many do we know who won’t eat in moderation and keep packing on the pounds? How many won’t even consider chewing food thoroughly or deliberately? If anything and everything is they won’t do this or won’t do that, isn’t their world getting smaller and smaller? Soon they won’t change. They won’t have any place to go. They won’t have anything to do. They won’t have any new horizons. They won’t have any friends. They will be alone in their won’t world. And after years of a won’t world, they will be faced with the passage of time with a can’t world. Then what is the point of life? Or is life a running-out-the-clock ordeal, just waiting for that inevitable fateful day. For Hidekichi Miyazaki as well as everyone else that day will come. Something tells Almost DailyBrett that before he meets his maker, Miyazaki will strike one more “Golden Bolt” pose with a huge smile on his face. He is the ultimate can-do kind of guy. 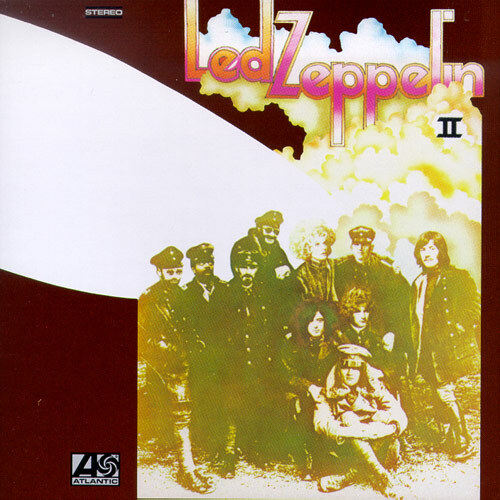 Second cut, first side, Led Zeppelin II, 1969. The fact that this song is still one of my favorites is irrelevant to everyone, but me. The fact that I can remember this song and the entire Led Zeppelin catalogue is troublesome. Was I and many others that fit the perception privileged to have the resources way back then to purchase Led Zeppelin II in vinyl? More to the point: What am I and presumably others in the same aging, white, male boat going to do about our present state of affairs? What can we do to prevent society from putting us out to pasture? How about: Move like hell? He forgot the word, “privileged.” My daughter, my very own flesh and blood, under the gravitational pull of San Francisco/Berkeley, repeatedly employs this moniker. She even mentioned the dreaded “Military-Industrial Complex.” Did she realize she was quoting a Republican, Dwight D. Eisenhower’s 1961 farewell address as our 34th president? Before you ask, I do not remember Eisenhower even though I was born during Ike’s first term. And there are many more who were born during Eisenhower’s two terms (or earlier). Is it time for society to involuntarily retire these people, redefining (and respelling) the term pasture-ization? Or can they overcome the odds and contribute to society, become engaged and give back to the world? I know where I come down on these questions. There are literally millions of Baby Boomer pale males…and most likely Baby Boomer females too… who believe that society has passed them over. This is the time for a cup half-full. Robbins is right. You can do it, and you are not an old dog that can’t learn new tricks. So what can these mature knuckle-draggers do to reclaim their Mojo? How about: Move like hell? Here are some thoughts, not in any particular order but they work well cumulatively. ● Cross Training. Yes, the combination of serious aerobics and resistance training in every other day intervals for each. Prove Isaac Newton’s First Law of Physics to be correct about a body in motion, staying in motion. You are not only doing yourself a big favor in terms of your health, you are going feel better about yourself and project confidence. ● Be Enthusiastic about everything you do. Celebrate every victory, even the small ones. Nobody wants to hire Gloomy Gus or Negative Nancy. It is easier to be negative than positive. Be realistic, but not a Pollyanna. Having said that, always ask yourself how you can rather than how you can’t. ● Get Smart. Be Smart. Is it time to go back to school? Yep those places with text books, online readings, exams, papers etc. There are ever more jobs that require master’s degrees, let alone bachelor’s degrees. Are you prepared as you need to be? ● Find love. In my sixth decade on this planet, I found love again and married my second wife, Jeanne. Married people are happier. Finding a good job in this economy is tough. Marrying a wonderful spouse is even more difficult. And if you do, make sure that decision makers know all about it. ● Stay current. So many give up on politics, government and business. As Charles Krauthammer, who overcame being paralyzed in a college swimming pool accident to win the Pulitzer Prize, wrote in Things That Matter, politics is an essential human discipline. Get it wrong and you can end up with Germany circa 1933. Understanding the world is pivotal to realizing your personal potential. ● Keep on Working. Brandon Stanton, the 29-year old best-selling author/photographer of The Humans of New York was asked about the secret of his stunning and unexpected success. His answer was simple: “Keep on working.” His admonition reminds me of the late Jim Valvano, “Don’t give up. Don’t ever give up.” Giving up is a self-fulfilling prophecy. ● Write 15 minutes or more every day. Keep your brain engaged. Everyone is a Thought Leader. Everyone has an expertise. Whether it is conventionally or digitally, transmitting your thoughts into written expression builds confidence in your communication skills and likewise about your overall talents. ● Think Digital, Be Digital. The Baby Boomer generation is the last to not be digital natives. So how does that impact the price of tea in China? It doesn’t. Even though Samsung’s ads make fun about adults and technology, suggesting that kids run circles around us, the reality can be way different. Walking in to present a seminar on social media last year, some were wondering why I didn’t have a skateboard. The answer is that I know WordPress, LinkedIn, Twitter, Facebook, SlideShare and others. The same should be true for you. ● Fight Back. Every day is a personal improvement day. No one decides that your career is over, except you. If we fail here or there, the game is not over. How can each of us get better? How can we be more competitive? What skill sets can each of us gain? Can we learn from others? Can others learn from each of us? Society as a whole may not know it, but I move like hell…and so can you. When I graduated from college, I was the proverbial 131-pound weakling. You can only imagine my astonishment, when I was asked to join a power-lifting team. The bully on the beach didn’t even bother to kick sand on me. And now I was being asked to train-and-compete in the squat, bench-press and dead-lift. The reason I was asked to join the power-lifting club in Glendale, California was they needed someone to compete in the midget-weight division (e.g., 132.25 pounds to 148.75 pounds). Mumsy later would state I did not know what it was like to wake up hungry in the middle of the night. I proved her wrong, reminding her how I could not weigh 149-pounds or more when I stepped on the scales before a power-lifting contest … so I starved myself immediately before a meet. My initial goal was to bench-press 200 pounds or “two-ooo-ooo” as my weight-lifting friends called it. I finally made it and threw a party. 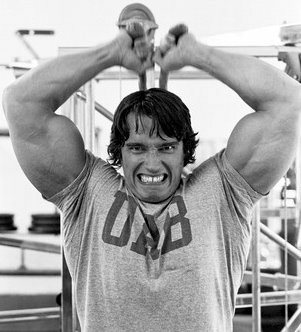 It was the age of AH-Nold and “Pumping Iron.” Some of my male friends thought it was strange that I had an AH-Nold calendar. I was interested in different exercises that came with every month (e.g., curls, flies, lat pulls…). After toiling as a cub reporter for the Whittier Daily News (yep Richard Nixon’s home town), I would train each evening for about 90-minutes. I found out that I was mentally tired, but not physically tired. I was no longer the proverbial 131-pound weakling. Eventually I started winning against my fellow midget-weight competitors. I still have a few medals and faded photos from those Glory Days. I can still remember people taking pictures of me in my weight-lifting suit (why would anyone take a picture of me?) at the Venice Beach Weight Pen. There were gorgeous creatures, roller skating nearby in skimpy gravity-defying two-piece bikinis, and yet people seemed to be more interested in the power lifters. And then all the cameras turned. It was AH-Nold holding hands with his sexual trophy du jour, and for some reason the photographers at the pen wanted the former multi-time Mr. Olympia to take off his shirt. He just couldn’t do that…until he did. My power-lifting competition usually originated from the poles of the California criminal-justice system. They were either cops or cons. Both had plenty of time to train and were naturals for the Southern California squat, bench press and dead-lift competitions. At Knott’s Berry Farm, a poor-man’s Disneyland, in Orange County, I weighed in at 146-pounds. My ex-con competition weighed in at the exact same weight. That day, I recorded my personal bests: 305-pounds in the squat; 245-pounds in the bench press and 400-pounds in the dead lift. The last lift was a religious experience, praying to Darwin that I would not drop the weight and thus losing the lift before the judge told me to bring it down to the surface. I looked up and the three-judges were thumbs-up for my lift. My teammates jumped on me. My competition had not even started his three dead lifts. He finished at 646-pounds, crushing my personal record 400-pound lift by a mere 246-pounds. Hmmm…he weighs exactly the same weight as me. He trains the same as me. He may be stronger, but 246-pounds stronger in one lift? Wonder if he had a little pharmaceutical assistance? It was time to cease my competition in power lifting. It is now 30-years later. I still train with weights at least three-days per week. In between, I run about two-days per week. I walk at least two miles on my non-cross training days. Longevity is super on the maternal side of my family. Bad tickers are prevalent on the paternal side of my family. My resistance-training routines now consist of lower-weights and more reps, increasing the aerobic benefits. For example, I do three-sets of eight free-weight 135-pound bench presses to exercise my pectorals. My curls and triceps exercises are three sets of 15 with enough weight to offer resistance without rocking and rolling (e.g., cheating). On certain days, my workouts are torture because I am not strong…and yet with the aid of classic rock on my iPod, I make it through. I feel physically and mentally better as a result. It is an awesome natural high. Mick Jagger amazes me. He is 69-years old and will hit 70 on July 26. He dances and prances two-hours a night in his all-black outfit, and reportedly has a 28-inch waist. I don’t doubt these reports. I want to be that svelte, that nimble and have that stamina when I hit that age. Deep down inside, I accept being follicly challenged (something about balding men having more testosterone). I live with being the average height for an American male or somewhat vertically challenged. Damn it all, I will not be horizontally challenged. I am determined to maintain my tight tummy and ectomorphic/mesomorphic profile. Through the religious observance of cross-training using both resistance and aerobic techniques, I will achieve my goal of having a fit-and-trim corpse. Ever ask a brilliant person for the time, and he or she essentially tells you how to build a clock? There may be genius or two, who is not so sure. Having said that, some are not comfortable with our reduced attention spans caused by an unprecedented and unrelenting global information overload. In many cases, monosyllabic statements and answers simply don’t cut it. But there are times, particularly when it comes to persuasive communication, when less is indeed, more. Actor Kurt Russell reenacted the late Coach Herb Brooks’ February 22, 1980 pre-game pep talk to the U.S. Olympic hockey team in Lake Placid, N.Y. before they played the mighty Soviet Union. It was the height of the Cold War, the Soviets were running wild in Afghanistan, the U.S. was virtually helpless in its efforts to free 52 diplomats held hostage in Iran, and the country was suffering a “crisis of confidence”… at least according to the leader of the free world. It was Evening in America. The country needed a big time lift, and it came from a group of essentially college student-athletes. They were being asked to accomplish the impossible as depicted in the Disney movie, Miracle. Brooks was not Mr. Personality. 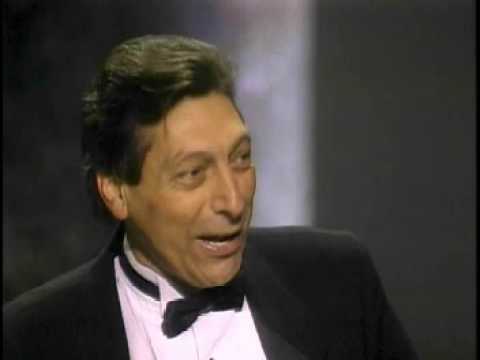 He was not Mr. Congeniality. That’s not what the U.S. hockey program wanted or needed. He was tough. He knew that his team needed to stay with the Soviet ice machine for 60 minutes, something that had not been done in two decades. He was the coach of his players, but certainly not their friend. He prepared them for the biggest opportunity of their lives, and then the moment came right before they took the ice against the mighty USSR. Brooks’ two-minute speech was only 124 words, and every word counted. There is a beauty in their simplicity. They were incredibly effective. I get chills every time I watch the speech. I want to charge onto the ice as well. 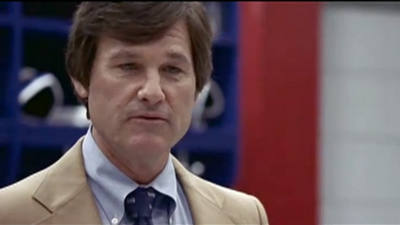 As communicators what can we learn from Kurt Russell’s portrayal of Brooks? After all, it is only a film. Shouldn’t we dismiss any serious discussion of this speech because it was reenacted for the purpose of a movie? We can, but we would miss the point. If we are preparing a bumper sticker, a billboard, an infographic, an advertisement, a PowerPoint presentation, a speech and even a pep talk, the simpler can be better. The imperative: “Screw em” is universal in its meaning. The door was probably not big enough for the team to take the ice all at the same time. 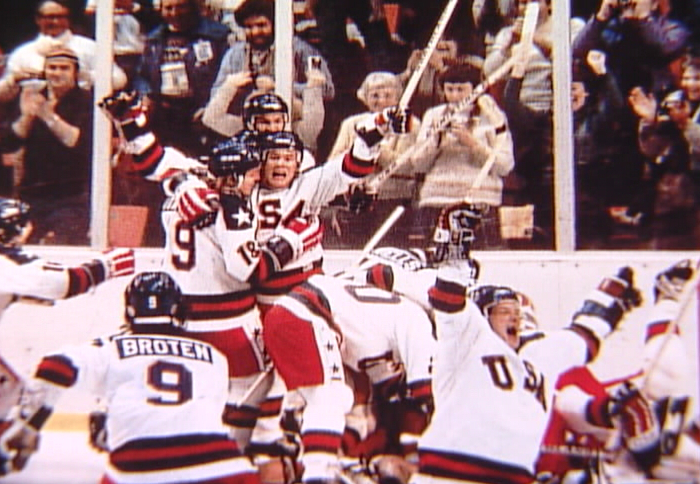 For many, and count me in this crowd, Herb Brooks is an American hero. He was the last man cut from the 1960 Olympic Team that beat the Russians and won the Gold Medal in Squaw Valley, California. 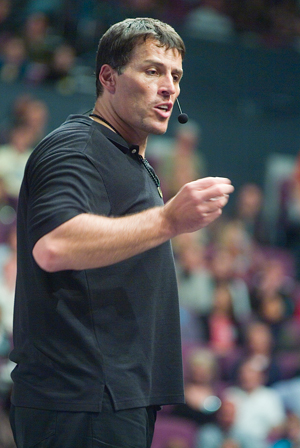 He was severely criticized for his coaching techniques, but stuck to his convictions. The rest is history. Brooks died way-too-young at 66 years old in a one-car crash in 2003. Thankfully, drugs and/or alcohol were not the culprit. He should have worn his seat belt. May he rest in peace. Thank you Disney and Kurt Russell for such a fitting tribute. And for reminding us the most simple communication can at times be the most effective. In our increasingly complex world, we sometimes need to appreciate that less is indeed more. “Great moments are born from great opportunity. That’s what you’ve earned here tonight. If we played them 10 times, they might win nine. Tonight, we skate with them. Tonight we stay with them. And we shut them down because we can. You were born to be hockey players – every one of you, and you were meant to be here tonight. I’m sick and tired of hearing about what a great hockey team the Soviets have.